← Explore the Upper Neuse Greenway Trail in Raleigh! Looking for something different to do with the family this Cinco de Mayo? Check out the “Magic Wings Festival” at the Museum of Life & Science in Durham! See below for festival details and your chance to win a free pass for four people to the event. 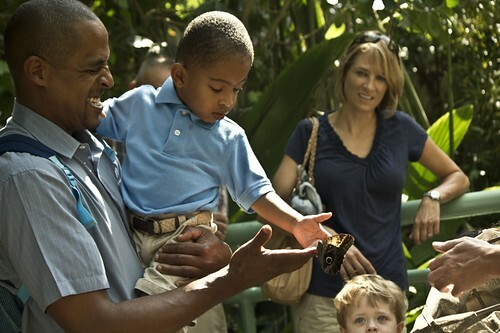 The Museum of Life and Science is celebrating the residents of its Magic Wings Butterfly House, with a fiesta style celebration on Saturday, May 5 from 10 a.m. – 5 p.m. There will be dancing, arts, gardening, entomology, live music, a bug safari hunt, butterfly crafts and more. Those who are eager to taste something different should make a stop at the Dare Café to sample a variety of stir fried insects. “We have several fun and exciting events for our visitors at this year’s Magic Wings event. Visitors can live life as a Leafcutter Ant and carry leaves on their back to the colony, explore the woodlands with entomologists to see where bugs hideout, listen to music from around the globe, or celebrate Cinco de Mayo by making traditional paper flowers,” says Nancy Dragotta-Muhl, event coordinator with the Museum. Durham County Master Gardeners, NC State Entomology, Orange County Beekeepers Association, BASF, Play House Toy Store, Kids Are Music, and others are also attending this year’s event. 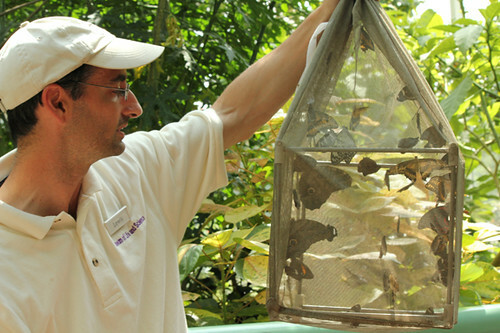 For a complete schedule of activities, visit the Museum’s website at www.lifeandscience.org. The Museum of Life and Science is an 84-acre indoor/outdoor science park and home to Magic Wings Butterfly House, one of the largest tropical butterfly house conservatories in the southeast. 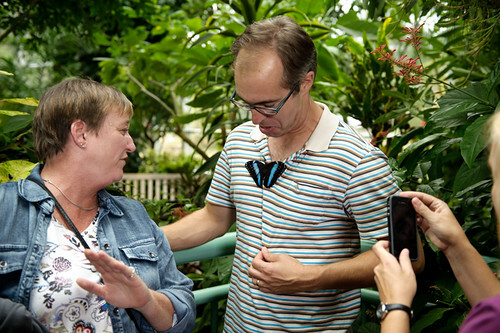 The conservatory offers visitors a chance to come into intimate contact with exotic butterfly species and over 250 species of tropical plants from around the world. The conservatory is 80 degrees year-round. Free Pass for Four Giveaway! The generous people at the Museum of Life and Science have provided me with a a FREE pass for four people to attend the Magic Wings Festival to give away to a lucky a Triangle Explorer follower! To enter to win just leave a comment below before noon on May 3rd. The winner will be drawn at random and emailed with instructions on how to pick up the free pass. Nothing could be more fun than a hands on learning experience at the Magic Wings Festival! Sounds like fun! We haven’t been to the museum before. I haven’t been to the Museum of Life & Sciences since the 3rd grade. A revisit would be a nostalgic event for me as a college graduate student! This sounds like a fantastic way to spend a spring day in Raleigh! 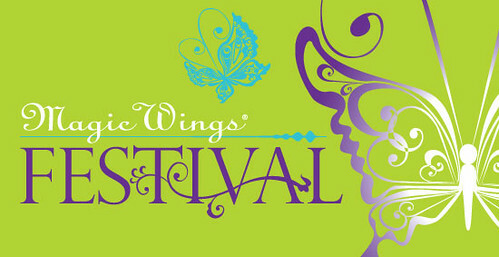 Thank you all who entered the contest for a free pass for four to the Magic Wings Festival this weekend. The lucky winner (via random drawing) is Pamela Ocampo! I will email details on how to collect your pass shortly. Thank you all for entering!